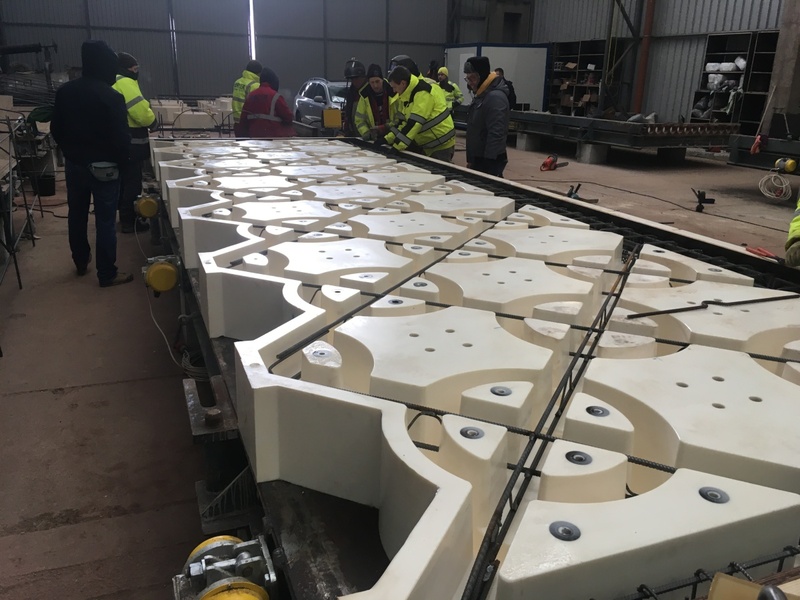 Within the context of a strong demand for concrete products, a trend is developing towards individual and diversified block systems. Planners and architects no longer view the various cast stone blocks isolated from one another. Concrete slabs and tiles are enhanced and combined with the façades and design elements of matching design and haptics. 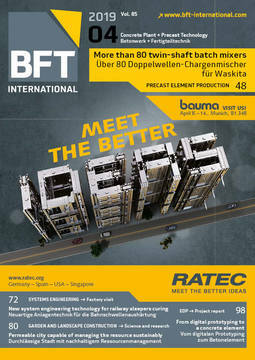 In the concrete block industry, the situation and the demand for concrete products could hardly be better. Many manufacturers are working at their upper levels of production capacity. Accordingly, there are few incentives for changes. The resources for new developments are limited. Within this context, however, a tendency for individual and diversified block systems is developing. Planners and architects no longer view the various cast stone blocks isolated from one another. Concrete slabs and tiles are enhanced and combined with the façades and design elements of matching design and haptics. Against this background, Wasa has developed, as a comprehensive service, a virtual, true-to-scale 3D model for every block project. 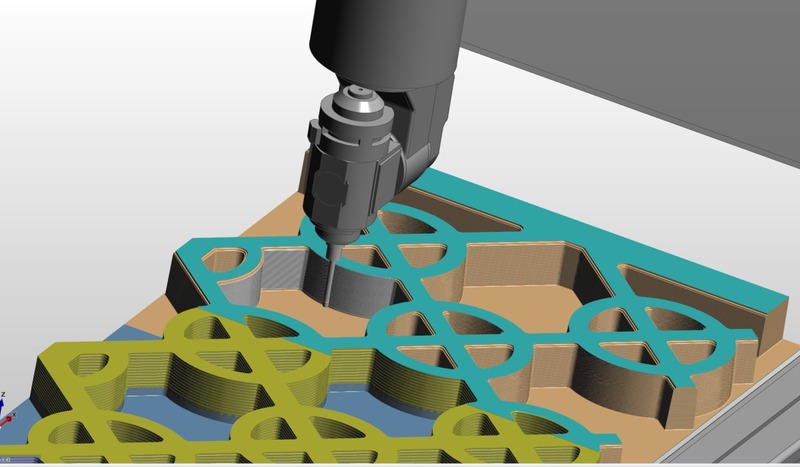 CAD model data may also be made available from customers for smooth integration into the Wasa CAD design tool. Especially by networking standardized data, correlations are promptly displayed on monitors and tested in virtual environments. Many questions are cleared up directly on the 3D model on tablet or monitor. This manner of working results in a new quality of communication, and language barriers can be quickly reduced and overcome. 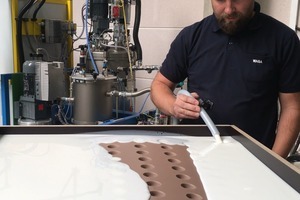 The Lindner Group has been successful on the market as a full-service provider for interior works, façades and insulating technology for more than 50 years. 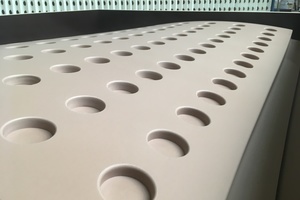 The company was founded in 1965 by Hans Lindner as a small assembler company for acoustic construction. Today, the family enterprise employs a workforce of well over 7,100 in more than 20 countries worldwide. 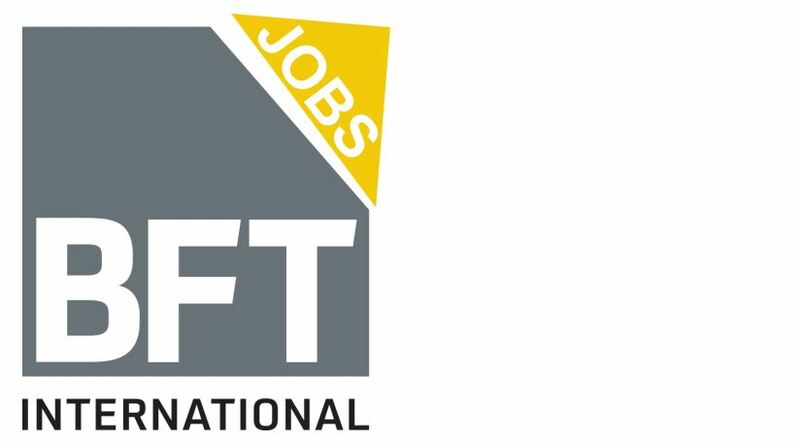 At its headquarters in Arrnstorf in Lower Bavaria, Germany, production takes place of core products, such as floors, walls, surfacings and high-quality façades. The Lindner Group is the lead contractor of one of the largest railroad projects in Europe. 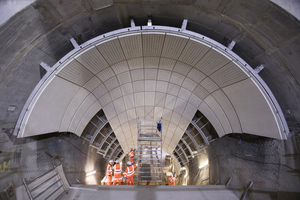 Crossrail, now under construction in London, is a new track network over a total length of 118 km to relieve the burdens on the current infrastructure. Crossrail requires construction of eight new underground railroad stations. For the present construction section, at Bond Street Station, the Lindner Group provided the curtain façade of glass-fiber concrete. 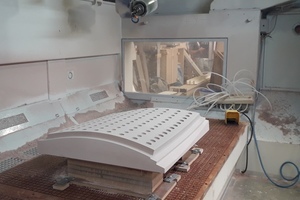 The company Wasa was commissioned by Linder to supply casting molds with more than 86 basic types and with different geometries. The raw data of the categorized building components were made available by Wasa in a data cloud. 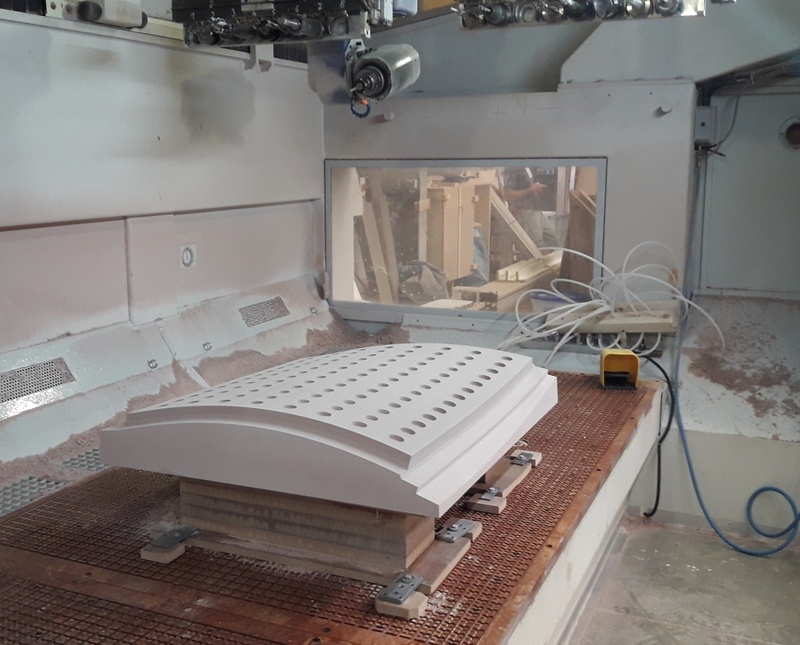 Based on the standardized project data, Wasa developed complex casting molds for manufacture of the cast stone blocks. 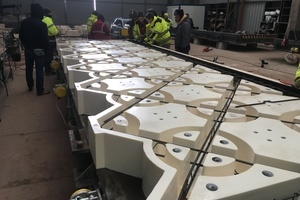 Wasa’s digital assembly groups are linked to the 3D model on which, for example, the demoldability of the façade elements can be virtually tested. 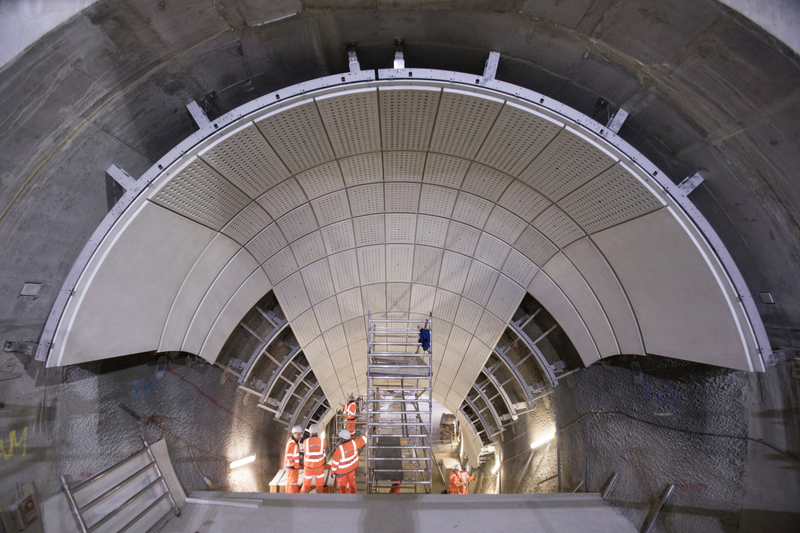 For a project as complex as Crossrail, setpoint/actual value queries of the construction progress of the individual sections are of crucial significance. The current construction section at Bond Street Station and the subsequent installation site of the concrete panels were calibrated by 3D laser technology. The BIM building model is uploaded with the measurement data from the inventory. 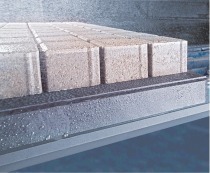 Changes in size and collision points of the individual concrete panels are quickly detected by way of simulation. Changes are synchronized by networking the categorized building components with the BIM building model. Information or changes do not get lost in the communication chain between the trades involved, and errors are effectively recognized and eliminated in the planning phase. 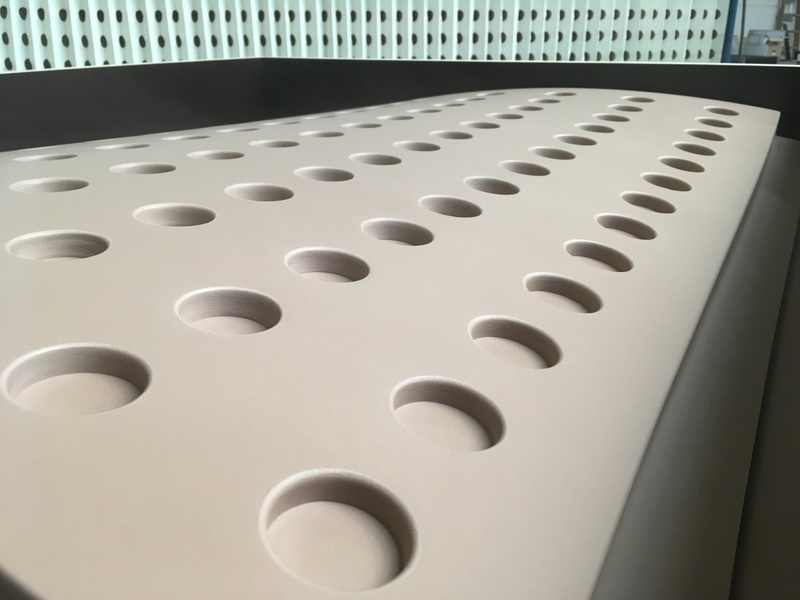 The glass-fiber concrete curtain façade elements are manufactured by pressure injection process, in which the liquid concrete mix is injected into the mold with a pistol. During injection, small glass fibers are admixed with the liquid concrete. The requirements placed on architectural concrete specify an especially smooth surface of the highest architectural concrete class (SB4). 1.) Planners/architects design concrete elements and insert them in the virtual environment. Open-data templates or 3D building models can be utilized, for example. 2. 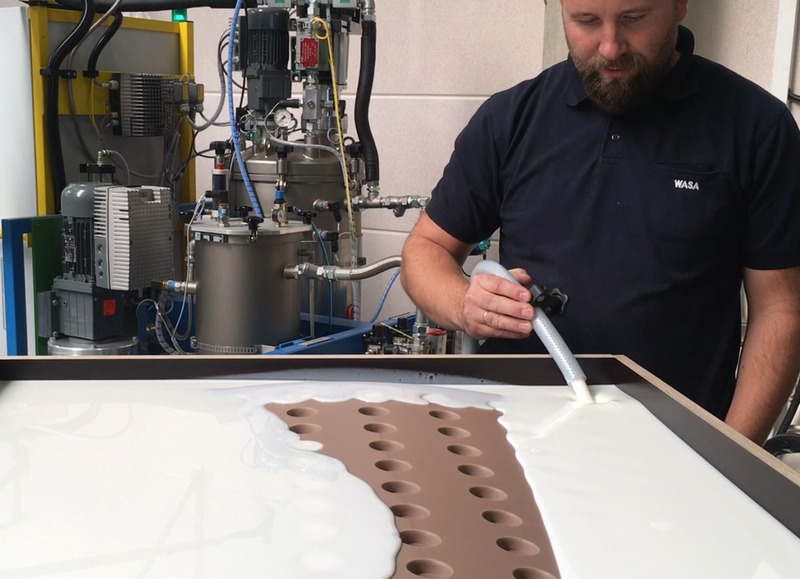 Manufacturers of concrete products and elements are in contact with planners/architects and are, at the same time, the direct connection to Wasa. Here, all information comes together with the question of what is possible and how can it be implemented. 3.) The 3D models are passed on to Wasa. Wasa then develops the molds and the tools for manufacture of the concrete elements on this basis. All 3D data are linked to an assembly group. 4.) 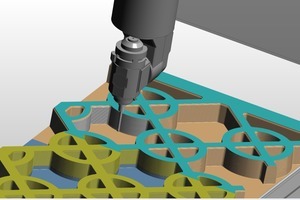 The shop drawings are generated from this assembly group and additional interfaces are activated: for example, CNC milling systems for the manufacture of models and tools. Utilization of modern solutions in project planning and the described workflow are significant benefits. They notably reduce error rates, conserve resources, reduce cost and increase reliability. The described scenario is only a beginning sequence for an exchange of data and utilization of shared knowledge and of what is possible already today.